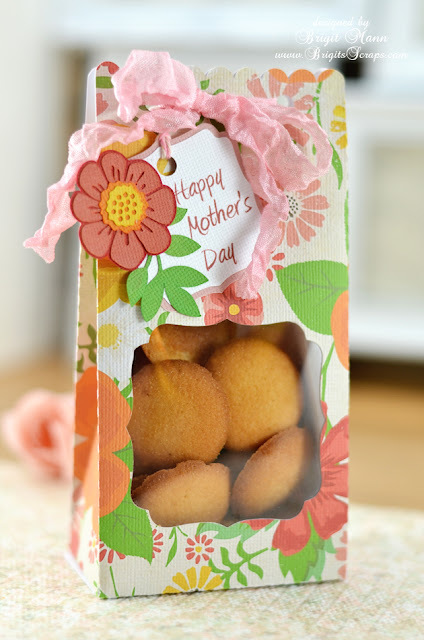 Mother's Day is right around the corner and I thought this cute card and box from Lori's shop would make a wonderful gift set. I chose digital paper and elements from Echo Park's For The Record 2 Tailored, I love the flower pattern, the colors are beautiful. 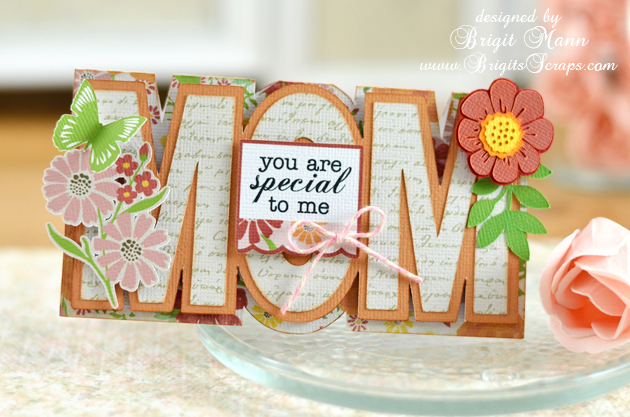 For the Mom Shaped Card I used some elements from the paper collection and one of the flowers from the Layered Flowers Set 2. The pretty pink and cream bow is Trendy Twine's Posy. This card also comes with an envelope. Love this Window Treat Box, it comes with the matching bracket tag. I added the internal offset shadow layer and did a print and cut on my Cameo for the Happy Mother's Day sentiment. The same flower was used from the Layered Flower Set 2 on the tag. The box is tied closed with some homemade pink crinkle ribbon. What a lovely set. Great colors. So excited for you! Very cute set in perfect colors. I can't wait to see more. This is beautiful Brigit! I love all the projects you've been posting to FB -- very inspiring!